My name is Renan Costa and I'm Art Director, UI / UX Designer. All my experience in the digital market gave me a look macro and strategic projects, purchase luggage from production to management of digital products high level. My experience in UI / UX design, includes creating site maps, responsive web, stream users, wireframes and other design documents for sites and applications. "Great work. 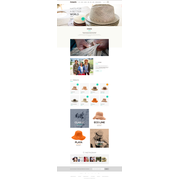 Very responsive, excellent designs." "I like Renan was always responding quick and getting fast my ideas! The design is pretty much reflecting what i wanted. " "Great job. His English may not be great, but does a very good job with the design and makes sure it is done very well."